There’s nothing easier than breathing, right? It is governed by the autonomic nervous system and will function without you thinking about it. This may be true while running, cycling or in everyday life but things are a little different when it comes to breathing while swimming. Here are basic things you have to remember to improve your breathing in the pool. For many beginner swimmers, this is a big hurdle to overcome and it is an ongoing struggle for others. It is anti-intuitive for us to immerse our mouth in the water making it difficult to breathe. But that is exactly what you need to do to properly swim at a reasonable pace. Why? It’s simple physics really. With your head, up and hips lowered (which is a natural consequence of sticking your head out water) there’s more surface you need to push through the water. That means more drag and more endurance and force to achieve the same pace. All around – bad idea! So what to do to make this easier? First of all – comfortable goggles. This makes putting your face in the water much more comfortable as you don’t have to worry about water in your eyes. Focus on a black line on the bottom of the pool and remember to rest often if you experience anxiety. Here I want to point out one problem I see very often among beginners. Their breathing is not rhythmic as they try to hold their breath while their faces are in the water. This results in them trying to exhale and inhale very quickly when turning to breathe. This, of course, means shallow breath and poor oxygen intake which means, in turn, slowing down or pausing to take few deep breaths. The solution is of course to build a habit of exhaling while your face is in the water and inhaling as your face is above the water forcing the rhythm to make it almost a reflex. 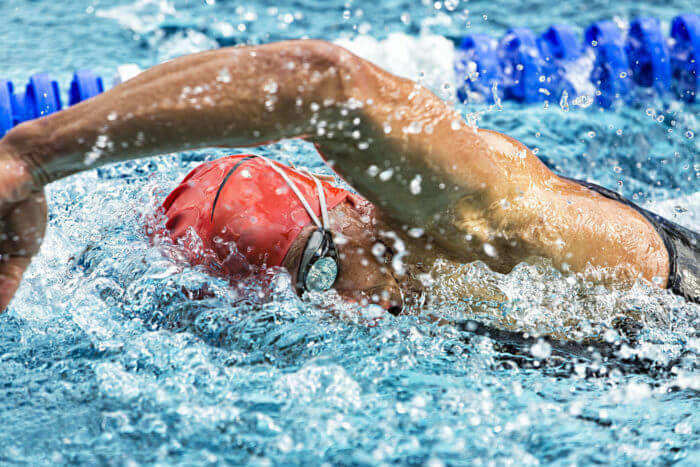 Bilateral breathing has a positive impact on your swimming but it comes with a challenge. It makes your stroke more even and helps you nail the most efficient mechanics for both sides of your stroke. The challenge, of course, is that you increase the time between breaths by 50%. If you are serious about your technique the only solution is very obvious but sometimes forgotten – train your bilateral breathing often. To start it’s great to incorporate it during warm-up, drills, easy aerobic sets and short sprints like 25s and 50s. You’ll quickly see it makes a huge difference! Breathe properly and Swimmo will help with the rest! So how to keep the intensity and the pace up? How to make sure you’re doing all you’re supposed to do to achieve your goals? The answer is quite simple and you’re just a few clicks away from it. 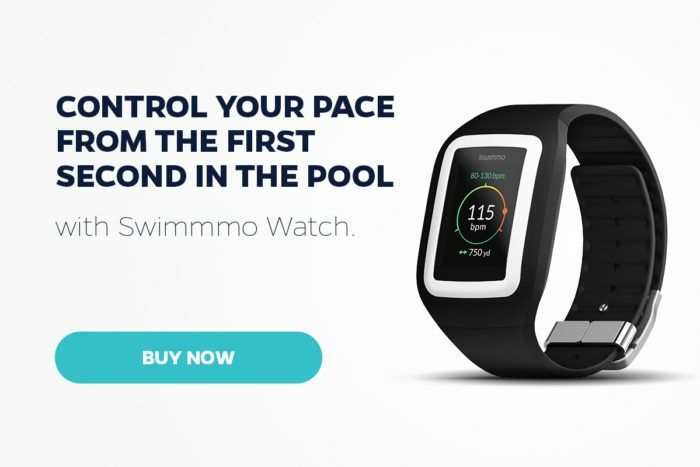 Swimmo training watch and app with over 35 swimming features can help you with that and much more. Check it out or get it now!